Our public courses are divided into levels and each level has two modules (A & B). Each module runs for 10 weeks (40 hours). Courses are offered on Saturday mornings, from 08h30 - 12h30, as well as Tuesday and Thursday evenings from 18h00 - 20h00. Please note: Evening classes are dependent on minimum student number requirements being met. Our courses are offered at three basic levels of language competency: Level 1, Level 2 and Level 3. The courses are structured on a modular basis, with each competency level having two modules (A & B). In order to complete a level, you are required to attend two courses – Module A followed by Module B. You need to complete Module A courses before progressing to Module B. Please note that the higher levels (Levels 2A to 3B) are offered according to demand. If you have some knowledge of the language, you will be interviewed by one of our language teachers in order to determine your level of proficiency. Certificates of Attendance are issued at the end of Module 1A, provided you attend at least 80% of the classes. You can then choose between a Certificate of Competence and a Certificate of Attendance for the remainder of the modules. Certificates of Competence are issued on the successful completion of all courses, with the exception of Module 1A. If your aim is to obtain a Certificate of Competence, you will be required to participate in a series of assessments comprising oral and written tests. You qualify for a Certificate of Competence provided you pass the tests. 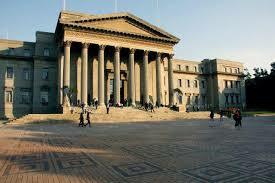 Wits Language School favors a communicative and interactive methodology. Learners are immersed in the language from the very first session and encouraged to speak. Learning takes place in an informal and pro-active way, with a balance between learner-teacher interaction, self-study and group work. Wits Language School facilitators are experienced language teachers and are mother-tongue speakers of the target language. The public courses are offered at specific times of the year. Our corporate courses are aimed at public and private organizations that need to train staff in specific languages. The courses are tailored to the language needs of the client and are offered at the client’s premises or at Wits University, and at times that suit the client. Courses are structured on a modular basis. In order to complete a level, you are required to attend two courses – Module A followed by Module B. If you have some knowledge of the language, you will be interviewed by one of our language teachers in order for your level of proficiency to be determined. Corporate courses are offered on a part-time basis. Certificates and assessments are the same as for the public courses. Private classes are arranged for students who are unable to join regular classes or who have specific language needs not easily accommodated in other teaching settings. Small classes are intended for the general public and for corporate clients when regular group classes cannot be arranged. These are particularly suitable for students at higher levels. The cost of private tuition is made up of tuition, materials, and transport (optional). Fees vary according to the number of participants who attend the course. The tuition block will cover topics at the level required. 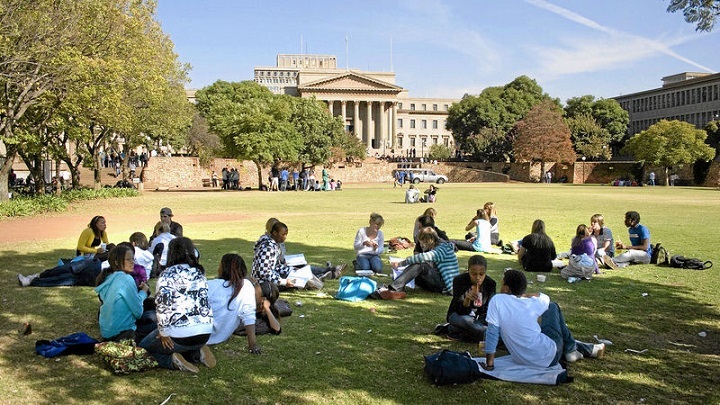 Wits Language School has a list of recommended topics that should be covered in a level, but in the case of private tuition, those topics are adapted to suit the student’s requirements. Wits Language School cannot release Certificates of Attendance or Competence unless we can confirm that the student has covered the same number of hours normally completed in a course. Certificates of Competence are granted after an additional 40 hours of tuition and successfully completing the tests. Participants who opt not to do tests obtain a Certificate of Attendance on completion of the course. The amount of work covered in private tuition courses depends on the individual student. It is possible to decide which of the prescribed topics the student will complete during the private tuition. In many cases, students are more concerned with achieving certain personal goals, rather than working towards achieving a certificate. In that event, there is no external pressure to complete a certain number of hours and students can determine their own pace. The Wits Language School promotes a communicative, interactive teaching methodology in all courses, including private tuition. This means that, as a student, you will be required to be actively involved in learning the new language. Private tuition has some challenges as the student cannot rely on the collaboration of other classmates and must generate all the language. On the other hand, the students receive the undivided attention of the teacher and determine the pace and content of the tuition.